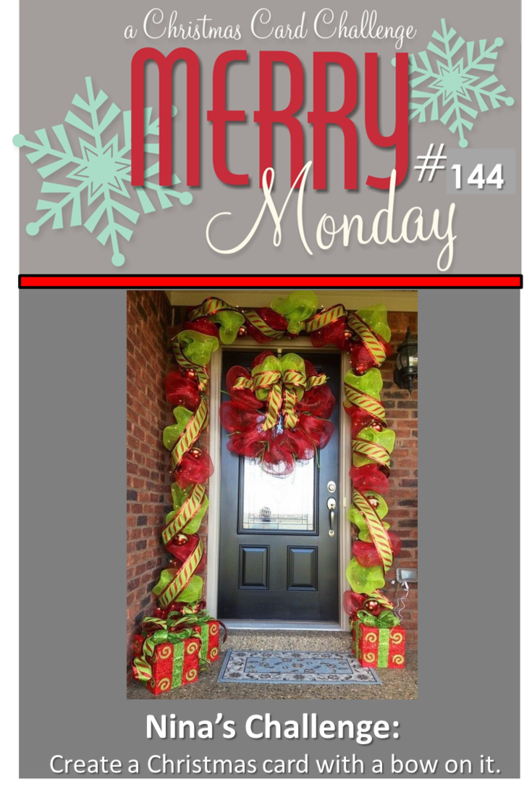 Happy Monday and welcome to a new Merry Monday Christmas Card challenge! Our host, Nina, has a beautiful challenge for us this week: add a bow to your Christmas card! My bow die is a favorite from Lil Inker Designs. I actually found some embossing powder in my stash that matched the blue/green cardstock and contained gold flecks (love when that happens!) The little "joy" die cut is Papertrey Ink's and embossed background is from Stampin Up. Need a little inspiration? Then hop on over to see what the Design Team has created this week! Can't wait to see what YOU come up with!! Beautiful card. Love the gold bow and joy. 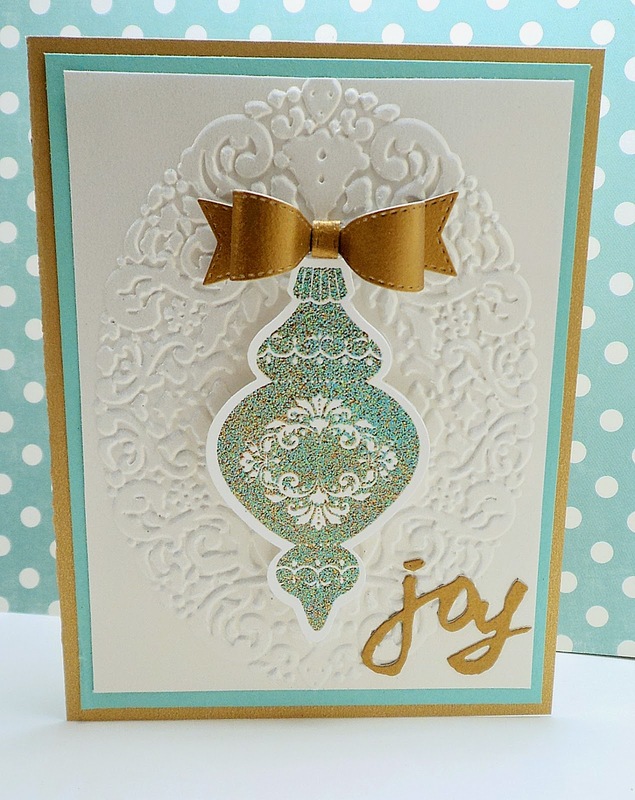 Pretty color combo and the ornament with the gold flecks looks so pretty on the embossed background. Wow Kathy - this card is perfection! Love everything about it, especially that glittery ornament! Thanks for the inspiration on Merry Monday - what fun to see what you all come up with!! Gorgeous embossed design and fun ribbon and ornament Kathy. This is gorgeous, Kathy! Love that stitched bow and the sparkly ornament! So perfect on the embossed oval! Hope you have a great week! Gorgeous bow and card, Kathy! Love the colors. Have a great week! Gorgeous color combo & I love this elegant card! I need to use my bow die--you've inspired me! Beautiful card Kathy, your ornament and the pretty foil bow are fabulous. What a pretty color combo. Your ornament is so pretty and so is the bow! Love the gold and blue/green together!!!!!!!!!! This is a very elegant card! I like your use of that embossed background piece. It is perfect for this card. Stunning! Gorgeous card Kathy, love every detail.